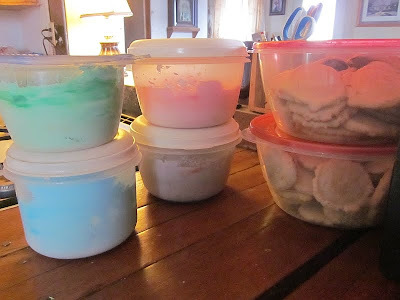 With Easter over but our Easter cookies still not gone, I was getting tired of having four separate containers of icing taking up room on the kitchen counter. So I mixed the colors into a swirl. “What do you think?” I asked Older Daughter. She stared for a moment. “It looks like a unicorn threw up,” she said at last. She’s right. Bad unicorn. No more cookies for you. My little guy (age 8) refuses to eat his chocolate bunny because he thinks it is too cute. We have that unicorn look at Christmas. I mix in some cocoa to make chocolate frosting (and to cover the color). If you have extra cookies, make sandwiches with them --- if not, we use graham crackers. 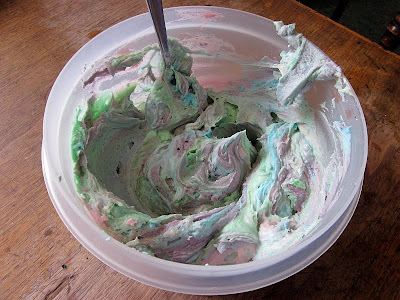 Patrice is gonna make that unicorn barf parfait thing again! And it's not even halloween....or anything...just a harmless little post-easter sweet creamy parfait..but just a little scary looking, nonetheless. 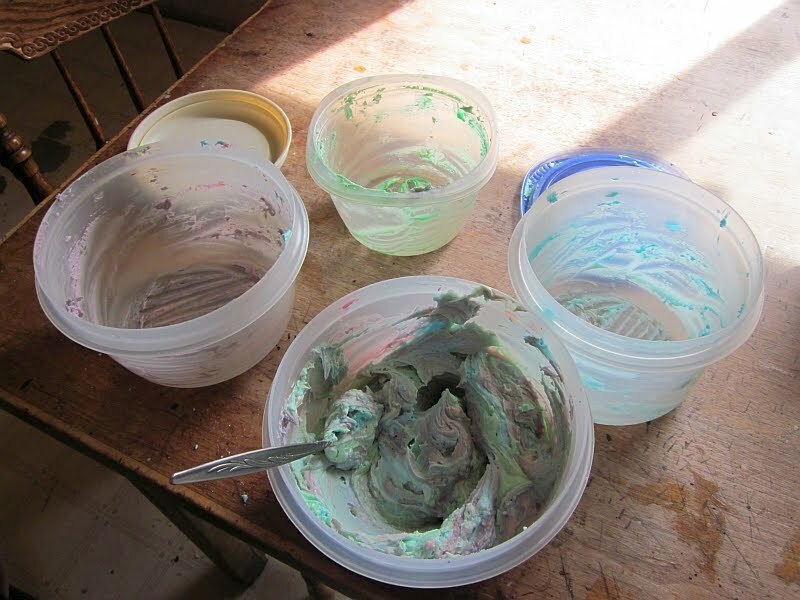 did you know that frosting freezed very well? yep, sure does! I LOVE the look of those cookies. I might have to make some when I have an oven again.